Angela Merkel is likely to continue as Germany’s chancellor. After 16 years at the helm of the Christian Democrats (CDU) and eleven years in power, Angela Merkel is about to make up her mind whether to fight another general election next fall. She may come to the same conclusion as her admirers and growing band of critics: there is no alternative. I have never composed poetry to Chancellor Angela Merkel, and I try not to think of her lying in bed, but sometimes I wonder: what does she see in the morning when she looks in the mirror? I doubt she sees the “most powerful woman in the world,” one of those random rankings magazine editors devise to boost their circulation and secure interviews with the “winners”. But Merkel meatballs are not on the menu in a month’s time, when the leader of Germany’s ruling Christian Democratic Union (CDU) faces party grandees, delegates, and the media at the annual party conference. Instead one question looms over all others: will she or won’t she? After 16 years heading the CDU, and eleven years in power, the smart money is on Merkel announcing that she will run for a fourth term in next autumn’s federal elections. The more interesting question, though, is: has she any choice? Rarely in modern western politics has any leader been so alternativlos – without alternative – as Angela Merkel. When Germany’s chancellor looks in the mirror, I wonder if she sees herself as alternativlos, and whether that thought fills her with satisfaction – or dread? Partly she is so essential because she is so good at what she does. Unlike most male politicians in her league, this woman has never had a major meltdown, rarely been embarrassed and never humiliated friend or foe in public. And even after so many years at the top she still sparks huge loyalty – and discretion – among her staff. Her politics have divided opinion in Germany and around Europe, most recently over the refugee crisis and how to deal with Russia in Ukraine and Syria, but few would argue that she remains Europe’s most effective operator. Angela Merkel is where she is, and she’s remained there for so long, because she is a good politician: a smart analyst with a good nose and a killer instinct. She kept the latter hidden for her first decade in power behind her mild East German manners, then lashed out at her mentor, Helmut Kohl, over a party fundraising scandal in 2000, an attack that took out simultaneously Kohl’s successor as CDU leader, her then boss Wolfgang Schäuble. So much shock-and-awe is rare in German politics – and unheard of in the CDU – but it worked with ruthless efficiency. Merkel took the CDU crown, then set to work eliminating would-be rivals and ensuring no real replacements would take their place. But, in hindsight, was her purge perhaps too thorough? If she looked in the mirror tomorrow morning and decided she was too tired for another spin on the merry-go-round, could she quit, knowing a successor is waiting? Of course no one is irreplaceable, as Margaret Thatcher learned to her cost in 1990. The Tories found John Major and kept hold of Downing Street for another seven years. Perhaps we are facing a similar situation in Germany: of the very short short-list of would-be successors, the name most frequently mentioned is federal interior minister Thomas de Maizière, a competent cabinet heavyweight who could keep the lights on in Berlin. Around Europe, the idea of a summit without Angela Merkel is also hard to imagine. As her third term enters its final lap, she has become a kind of institutional memory in Brussels: the only politician who has survived the financial, euro, and ­– so far – refugee crises. On Syria, senior EU officials say Merkel was “outstanding” in her political analysis and humanitarian demands during the last Brussels summit. On Russia, even long-time Kremlin watchers say that Merkel is the only western politician Vladimir Putin views as his strategic match. But just because she runs for a fourth term doesn’t mean she will win. Her popularity has steadied again just below 50 percent, good going for someone so long in the job, but her CDU is down over 10 points on 2013. 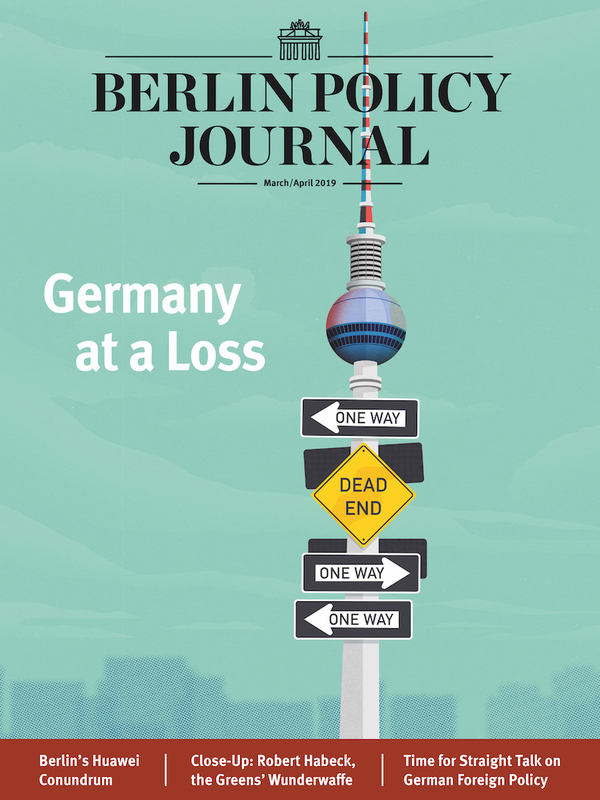 The next Bundestag will have one, possibly two, new parties making majority-building a complicated business. Her Bavarian CSU allies are still furious over her handling of the refugee crisis and Merkel will not attend their party conference this weekend. 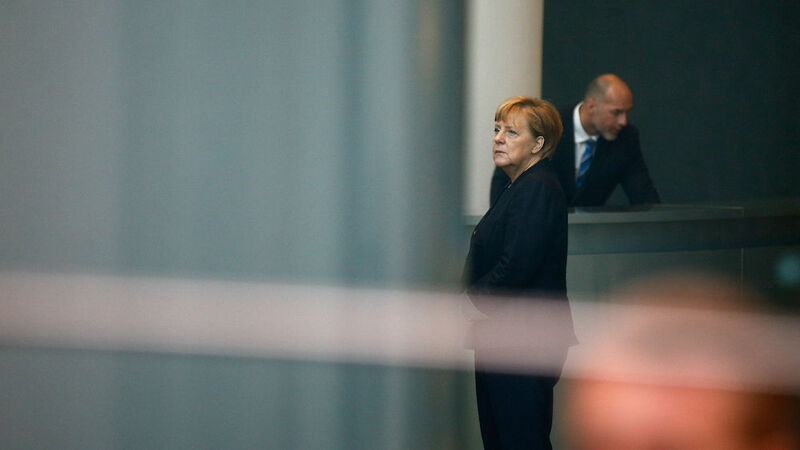 Excitable political analysts see this as an ominous crack in Germany’s center-right alliance. But, after being humiliated there last year, Merkel was happy not to go. She knows – and the Bavarians know – that the CSU is usually all bark and no bite. Then there is the upcoming choice of a new German president. 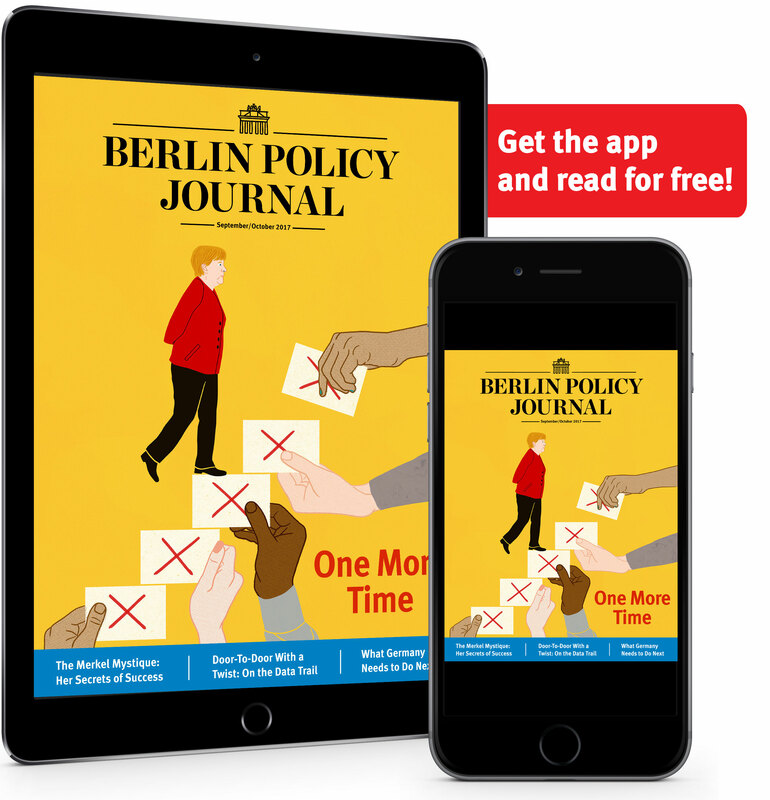 Some see Merkel’s struggle to find a suitable candidate ­– and uncertainty over the looming vote – as indicative of Merkel’s political authority and instincts. But this is a ceremonial post picked by an electoral college, not the public, and someone will always be found for Berlin’s Bellevue Palace. When Angela Merkel looks in the mirror in the coming days, and decides what she wants to do from next autumn, she will ask herself three questions: Am I physically up for it? Do I still have something to give? Does the job still stimulate me? But even if she answers “no” to all three questions, Merkel knows that, by leaving her decision so late and by not building up an obvious successor, there is no realistic option except to run once more. Power is addictive, as is the feeling of having unfinished business.